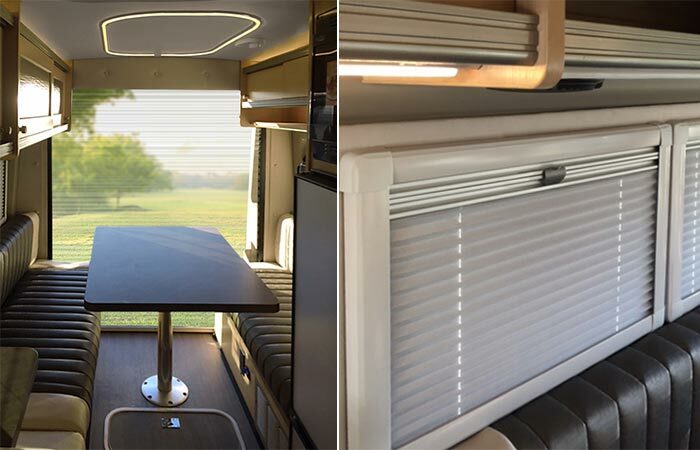 Winnebago has long been a forerunner in the world of luxury RV’s, but now they have expanded to include something for a generation of Van Lifers. So, if you were planning on hitting the road, then the Winnebago Paseo Van is definitely something that you should look into. The Winnebago Paseo is the world’s first of its kind. It’s a Class B coach that has been built onto the superb Ford Transit Van chassis. It’s spacious, modular, comfortable, and luxurious, while boasting exceptional fuel economy and power that is delivered by a Ford EcoBoost engine. The Flexi-Bed system (pictured left) is completely modular so that you can use the space as you see fit. It also comes with nighters/ sun screens for a comfortable sleep (pictured right). When we said luxurious, we meant that Winnebago did not skip a single feature. Interesting enough, the third rear section of the vehicle is completely modular with the Winnebago Flex Bed system. This allows you to transform the space as you see fit. 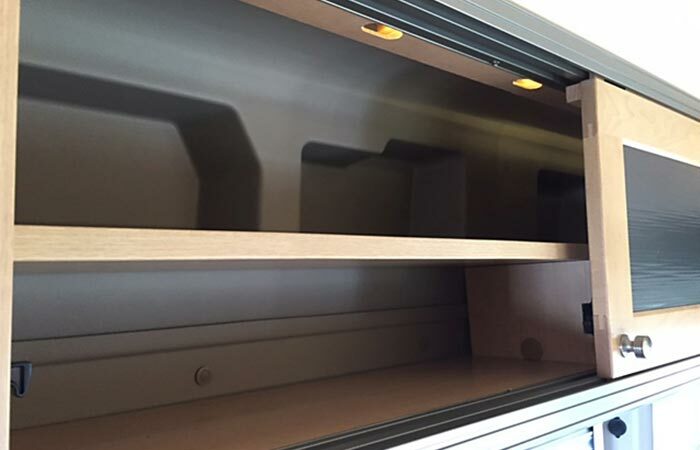 The overhead storage allows you to store all of your goods with ease. It comes with a variety of technologies that simply increase the comfort of your trip, no matter where you may go. On the interior you’ll find a 19” HDTV and Coach Stereo system, LED ceiling lights, insulate nighter/ screen shades and many more. 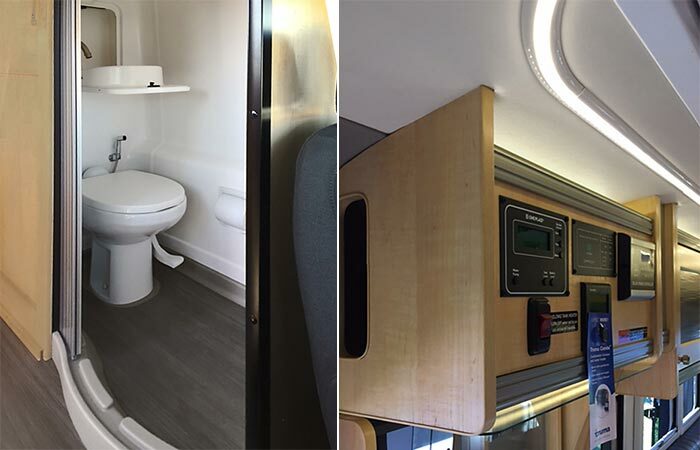 The Winnebago Paseo Van comes complete with a lavatory and shower built in with a private sliding door. A control panel makes everything super easy to use. You’ll also be pleased to know that this coach has a built in lavatory and a shower area. It also comes with a microwave and convection oven, as well as 2-burner stove top. In addition to this it also has a refrigerator and a stainless steel sink. This is all without mentioning the cold water filtration system. All of these features only scratch the surface of what the Winnebago Paseo is capable of. Check it out at Winnebago here.